Service within 24 hours GUARANTEED! Welcome! 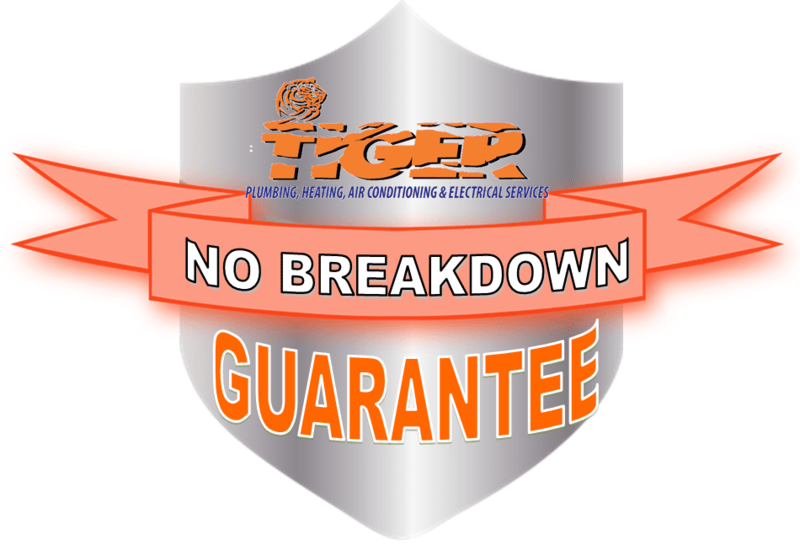 Congratulations on choosing a Tiger Plumbing Services, LLC/ Tiger Heating and Air Conditioning Services, Inc./ Tiger Electrical Services, LLC. Club program. Our program provides regular maintenance to prolong the life of your home HVAC / Plumbing / Electrical equipment, protect your home against unexpected emergencies and help give you peace of mind against disasters! As a club member you get priority service (when you need it) at a special savings only allowed for our club members! …and remember, your membership is transferable either to the buyer of your current home or to a new home (some restrictions apply). Service within 24 hours Priority scheduling will be performed during normal business hours and within 24 hours of when call is received. All club members go to the front of the line! I realize that by taking advantage of the Club Membership(s) savings that I am committed to a minimum twelve (12) month membership. …and return your original fee! Club members receive yearly tune-ups at no charge. If you have been a club member for at least one (1) year and have a breakdown that we didn’t recommend to be replaced or repaired after your tune-up was performed, we will apply your yearly club membership cost towards your repair.